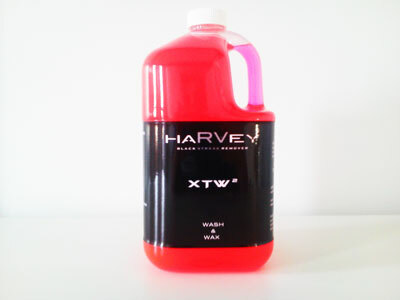 Description: This product is HaRVey’s premier Multi-Purpose Cleaner and Black Streak Remover. Use for a variety of cleaning applications on your RV, boat, home and business. You can use HaRVey to remove all levels of dirt, from everyday dirt and debris all the way to heavy black streaks. 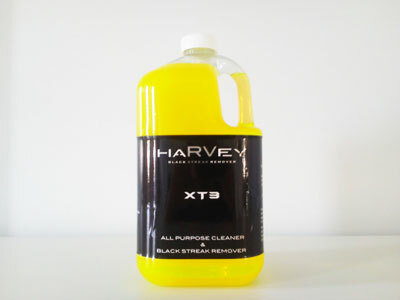 Description: HaRVey’s Extreme Cleaner is a very strong concentrated black streak remover. It is designed to remove very heavy oxidation and heavy black streaks that have occurred on older or neglected RVs, gutters and metal surfaces. This product is able to be diluted based on severity of black streaks. *55 gallon drums also available for all products. Call for pricing.